Last night, I noticed my iMac was a bit unhappy as it had run out of (250GB) SSD space. I recalled that the night before I had installed Google Drive and left it synchronizing and also had not yet moved the new Photos app to larger secondary drive, which was importing more and more photos in the last few days. 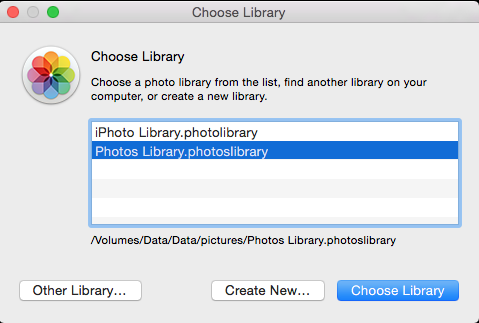 By default Photos app installs at ~/Pictures. So they were both eating up precious SSD space. It detected the new location and prompted me to select the library. April 22 was the earth day. So, today, I took my daughter to her school and together with her friends and their parents we cleaned up the school playground. I came back home and checked the Disk Utility to see if my clean up from yesterday had tidied things up enough. To my surprise, there was still a ton of space consumed by "something". Looking at the folder, it seemed that the log file was roller over, but the old log file somehow kept going and consumed the whole disk. This file is created by Google's awesome "Chrome Remote Desktop" extension which I really like to use.